India has the eighteenth longest coastline in the world, according to the Central Intelligence Agency’s World Fact Book. Stretching for a total of 3779.7 nautical miles/nm (7000 kilometres/km), it is little wonder that the country’s government wishes to this to be as secure as possible. Yet the nation is making strides in this regard. On 27th February, local media reports stated that the country’s Ministry of Defence had given the green light for the procurement of up to 38 coastal surveillance radars, alongside four mobile surveillance stations and two vessel traffic management systems, the latter of which are to be located in Kutch and Kambatch, both in the western Indian state of Gujarat. The value of the contract is expected to be $148.1 million. Reports continued that Bharat Electronics Limited (BEL) will be the prime contractor for the initiative. This latest initiative forms the second phase of an overarching programme to reinforce the coastal surveillance radar coverage of India’s coastline in the wake of the attacks perpetrated by the Lashkar-e-Taiba insurgency organisation in the western Indian city of Mumbai which caused the deaths of 164 people between 28th November and 29th November 2008. Prior to the attacks, the insurgents had arrived using inflatable boats in the district of Colaba, in the extreme south of the conurbation. The subsequent attacks triggered a reinforcement of Indian coastal security, with an initial procurement of 46 coastal surveillance radars which from BEL in 2011 for a cost of $89.6 million, according to media reports. 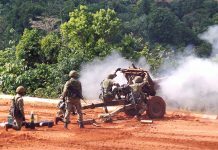 Details on the exact type of radar which BEL supplied to the Indian government as part of the 2011 procurement are hard to find. Tantalisingly, BEL makes no reference to any coastal surveillance radar products in their catalogue although some reports have stated that the systems transmit in X-band (8.5-10.68 gigahertz/GHz). It is likely that the new radars to be procured as part of the February deal may be of a similar design to those procured in 2011, although there are no details as to when these new radars will commence and complete delivery, and when they maybe declared operational. 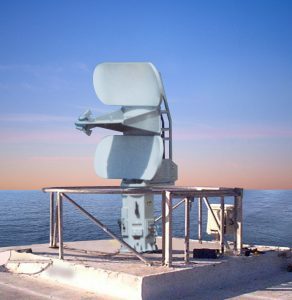 X-band is a popular choice for coastal surveillance radar. As Paul Mariner, sales manager at Kelvin Hughes, explained in a paper entitled Advanced VTS (Vessel Traffic Service) and Coastal Surveillance Radar Technology, the: “X-band frequency is best suited to providing an acceptable level of range and bearing” information for a target at sea. Essentially, the comparatively narrow frequencies of X-band enables the radar operator to discern small targets such as jet skis or small boats clearly in the ‘clutter’ of the undulating sea surface which risks swamping coastal surveillance radars operating in lower frequencies. Nevertheless, as with so many aspects of radar engineering, trade-offs are inherent in coastal surveillance radar design. 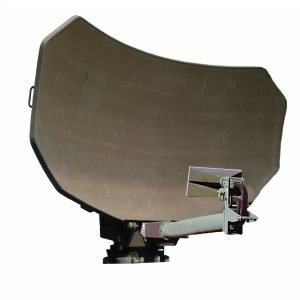 While X-band radars are good at discerning small targets, they are susceptible to degradation from rain and moisture in the air and, as Mr. Mariner articulated, X-band radar “performance in rain cannot match S-band (2.3-2.5/2.7-3.7GHz).” Thus, X-band radar can detect small targets amidst sea clutter but can suffer performance degradation in rain. Meanwhile S-band radars are better at penetrating rain, but might not be able to match X-band radar performance regarding small targets. This vexing compromise causes users to often procure both S-band and X-band radars to exploit the performance advantages offered by both bands: “This enables X-band to provide excellent range and bearing discrimination in good weather while providing the option to switch to the S-band when prevailing conditions seriously degrade X-band performance,” continued Mr. Mariner. It will be of little surprise for readers to learn that Kelvin Hughes offers both S-band and X-band systems as part of its Shore Based Sensor (SBS) coastal surveillance radar series, which uses the firm’s SharpEye radar family at its core. Like Kelvin Hughes, other coastal surveillance radar suppliers have opted for either X-band or S-band offerings. For example, Airbus’ defence and space subsidiary’s SPEXER-2000 coastal surveillance radar provides a range of circa ten nautical miles (18km) using X-band, as does Thales’ CoastWatcher-100 which has a 100nm (185km) instrumented range: five SPEXER-2000 radars were acquired by Malaysia in December 2015. The ‘odd one out’ as regarding coastal surveillance radars in this regard is Harris’ LCR-2020 system. Transmitting in the C-band (5.25-5.925GHz), this radar exploit a further compromise in radar engineering: C-band sits between S-band and X-band in the radio frequency portion of the electromagnetic spectrum. The result is that this band can provide good target and clutter discrimination, while avoiding the interference caused by precipitation. 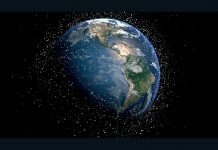 Moreover, C-band radars will not cause interference with other S-band and X-band radars which could be located close to the coastline to provide air traffic management services, for example. 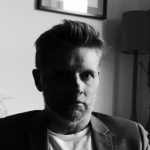 According to George Yakimovicz, business development capture director at Harris, the firm has been involved in the provision of coastal surveillance radars for Sweden for the past two decades, adding that the company currently has 53 of its 54nm (100km) range radars in service around the world. One remarkable aspect of the LCR-2020 design is its high and low beam concept. 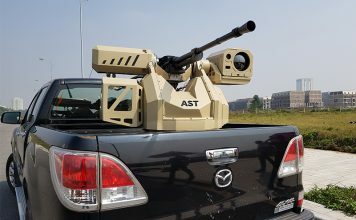 This permits the simultaneous detection of air targets, at a range of circa 81nm (150km) using the high beam, and surface targets using the low beam. The evolution of this radar is continuing, and Mr. Yakimovicz shared that Harris is currently performing studies regarding the enhancements of the radars’ software, and its front end, to improve its ability to detect targets with a low radar cross section, such as low-flying light aircraft which risk being lost in the radar clutter generated by the sea’s surface. This is an important consideration: According to a 2014 report published by the US Department for Homeland Security’s Science and Technology Directorate entitled Small Dark Aircraft: The Hunt for Drug Smuggling Aircraft at our Borders: “a number of small aircraft, including ultra-lights, small fixed-wing general aviation and helicopters, are still able to slip through (US) airspace undetected.” The report went on to note that: “these planes have become ideal drug-smuggling vehicles.” That the Asia-Pacific is home to the so-called ‘Golden Triangle’, an opium-producing area encompassing parts of Burma, Laos and Thailand, underscores the importance not only of ensuring coastlines are robustly protected against vessels which maybe performing illegal actions, but also that small aircraft, possibly engaged in similarly nefarious tasks can be detected. Another consideration noted by Harris vis-à-vis coastal surveillance radar is spectrum management. The electromagnetic spectrum is a crowded place. For example, the number of cellphone users is expected to rise from circa four billion globally, according to the online service Statistica, to over five billion by 2019. Similarly, figures published by technology firm Cisco in June 2016 predicted that there will be over four billion internet users globally by 2020, compared to three billion in 2015. The company’s figures continued that the number of networked devices in use around the world will climb to 26.3 billion by 2020, compared to 14.3 billion in 2015, while broadband connection speeds will increase to 47.7 megabits per second (mbps) in 2020, compared to 24.7mbps in 2015. Such requirements will translate into an increasing demand on the areas of the spectrum inhabited by coastal surveillance radar. For example, in Canada and Ireland, X-band is already used for terrestrial broadband communications. Mr. Yakimovicz argued that such demands are forcing radar engineers to: “use radar bands more efficiently, and to employ advanced next generation waveforms,” which promise to occupy as little of the RF spectrum as possible. Coastal surveillance radar architecture is also changing. According to a statement supplied to AMR from Blighter, which produces a number of coastal surveillance radars in its B400 and C400 families: “The majority of existing coastal surveillance radars use cheap and unreliable valve based transmitters.” At the core of these radars, the statement continued, is the magnetron. Put simply, a magnetron has a heated cathode in the form of a solid metal rod at its centre. This cathode is surrounded by a ring-shaped anode. Cut into the anode are a series of hollows, known as cavities. The anode, with its accompanying cavities, and cathode at its centre are all enclosed in a tube which has a powerful magnet at one end with the intention of generating a magnetic field parallel to the cathode. An electric current is passed through the cathode which produces electrons. This produces an electric field between the cathode and anode, and also a magnetic field, thanks to the magnet. This causes the electrons to move in a rotational fashion zooming past the cavities and causing them to resonate and emit microwave radiation. This radiation is then channelled to a radar’s antenna by means of a waveguide and transmitted from the antenna so at to collide with a target and produce a radar echo, which is then depicted on the radar operator’s screen as a target and track. Yet magnetron technology is becoming antiquated, perfected as it was during in 1940 by British physicists John Randall and Harry Boot at the University of Birmingham in the UK. However, the radar industry as a whole has migrated towards solid state electronics which dispense with the magnetron and which can operate at lower power levels compared to their magnetron-equipped counterparts, while also enjoying higher levels of reliability and lower maintenance burdens. The industry is now changing once again with the adoption of Active Electronically Scanned Array (AESA) technology. This technology is slowly migrating to the coastal surveillance radar domain, having proliferated through the military radar domain since the introduction into service of the Multi-Function Array Radar-I (MAR-I) system in US Army service as a ground-based air surveillance radar to support the force’s LIM-49 Nike Zeus anti-ballistic missile system in the early 1960s. AESA radars have several benefits but, put simply, an AESA radar includes an antenna that mounts a multitude of miniature radars, known as Transmit/Receive (T/R) modules on its antenna. The T/R modules enable the radar to perform several tasks such as air and surface search simultaneously, thanks to the ability of each of these T/R modules to perform a large part of the radar’s RF transmission and processing, and to be tasked independently. Moreover, AESA antennae benefit from so-called ‘graceful degradation’ in that the failure of one T/R module will not cause the entire radar to become unserviceable. Furthermore, T/R modules can transmit on different frequencies within the radar’s transmission bands, increasingly the frequency agility of the radar, and hence making its transmissions harder to detect and jam. Since the advent of the MAR-I radar, AESA radars have progressively proliferated throughout the military domain. AESA technology is now standard equipment on fighter aircraft, as illustrated by the Thales RCY-2 X-band fire control radar which equips the Dassault Rafale-F3B/C/M fighter, or Northrop Grumman’s AN/APG-83 Scalable Agile Beam Radar X-band product which is designed to equip the Lockheed Martin F-16 Fighting Falcon fighter family, and the Rockwell International/Boeing B-1B strategic bomber of the United States Air Force. 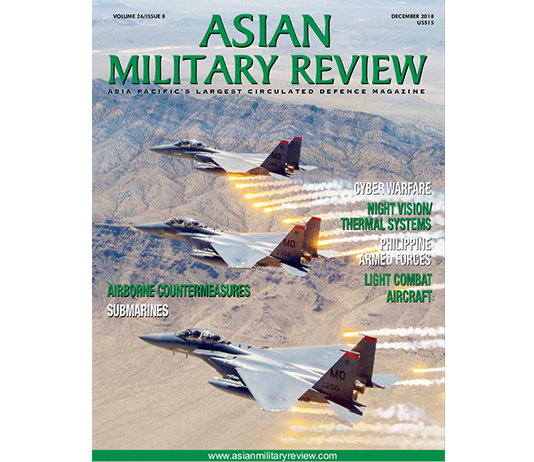 Two factors have assisted this proliferation of AESA technology. The first is the introduction of Gallium Arsenide throughout the 1980s to equip an AESA’s T/R modules helping to reduce them to the size of a cigarette packet in some cases. The second factor is the overall reduction of the physical size of electronics as a result of ‘Moore’s Law’; the observation of Gordon Moore, a co-founder of the Intel Corporation, whom argued that the number of transistors on a single chip doubles every circa two years. This dictum, and the advent of Gallium Arsenide, enabled AESA radars to be housed in progressively smaller installations. 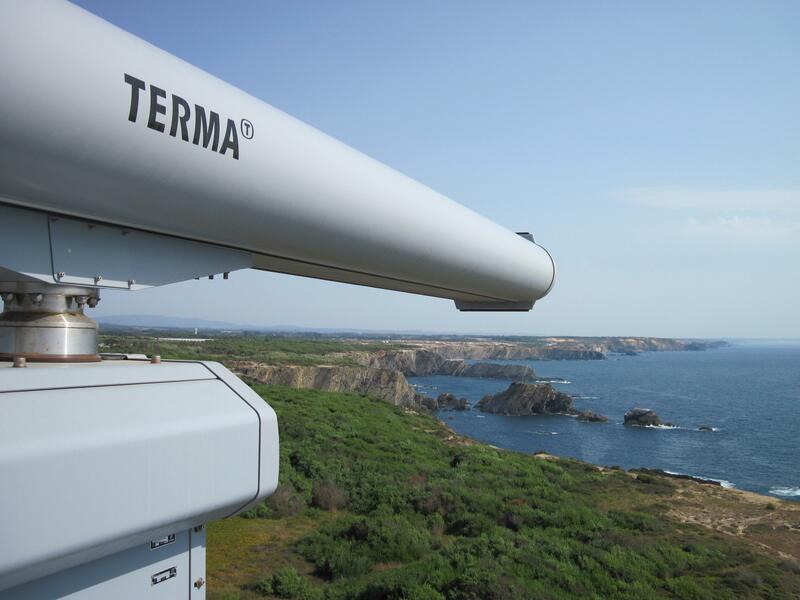 A written statement supplied to AMR by Leonardo, which provides the ARGOS-30VS X-band coastal surveillance radar, articulated an expectation that AESA technology may increasingly migrate to the coastal surveillance radar world. This has already begun with the employment of an AESA architecture in Airbus’ SPEXER-2000 radar. Yet costs will need to reduce if the technology is to be widely adapted by coast guards, navies and other government departments charged with securing coastlines. 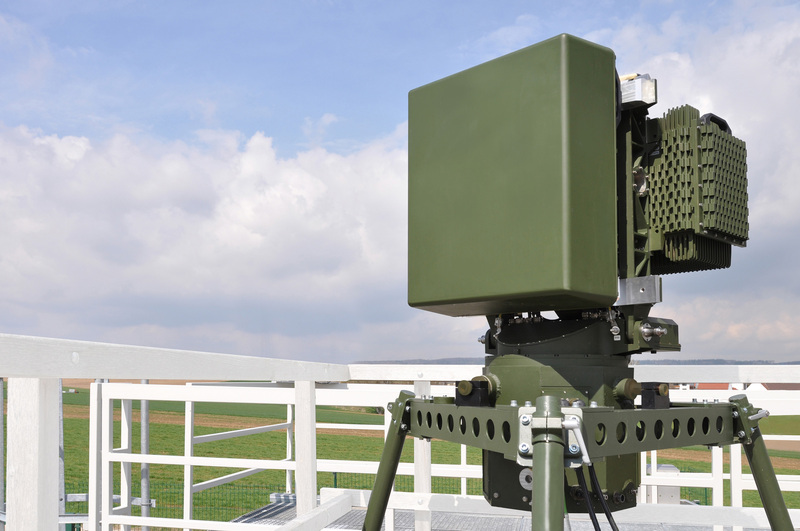 For example, Thales’ GroundMaster-400 S-band ground-based air surveillance radar, which employs AESA technology, has a reported unit price of $19 million. As a contrast, India’s acquisition of 46 coastal surveillance radars in 2011 for $89.6 million (worth $96.7 million in 2017 US dollars), gives available acquisition funds of $2.1 million per radar, while its planned February acquisition potentially gives a per-radar acquisition budget of $3.8 million. 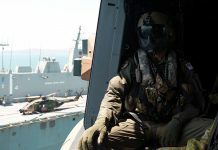 However, these figures do not take into account other items which maybe purchased as part of the acquisition such as maintenance, repair and overhaul services, installation, training and logistics costs. 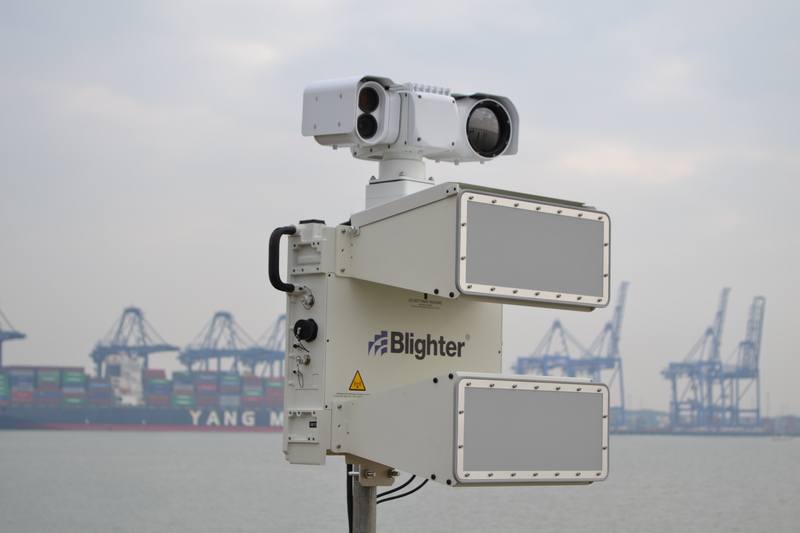 It is noteworthy that the February acquisition includes plans to acquire four mobile surveillance stations and two vessel traffic management systems, potentially further lowering the available funding for the acquisition of the radars. 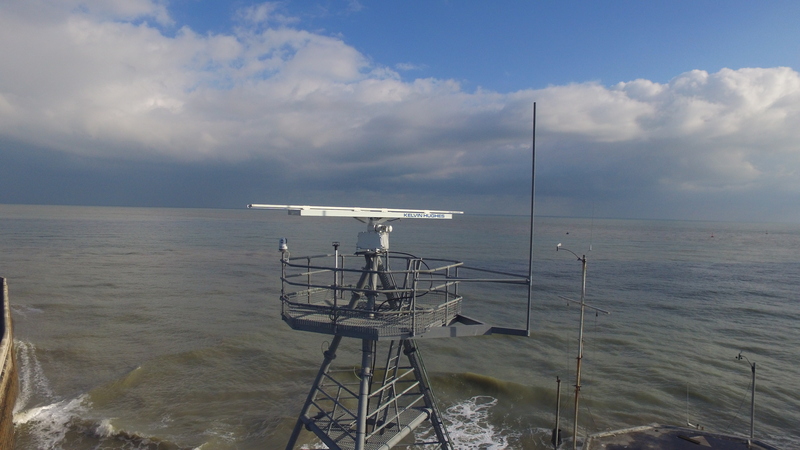 AESA technology clearly offers promise to address the challenges facing coastal surveillance radar engineers, but costs will need to reduce further if this technology is to be increasingly adopted in the future.